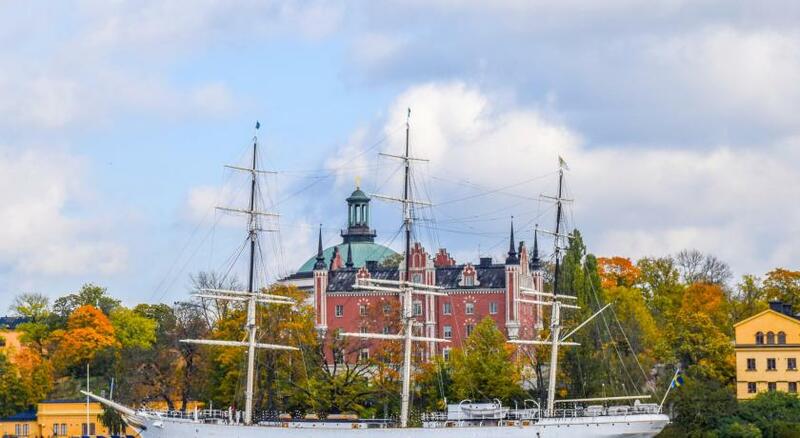 Lock in a great price for STF af Chapman & Skeppsholmen – rated 8.4 by recent guests! The boat was so pretty, the view was amazing! And all the people in my room were super nice! The room was also super clean. 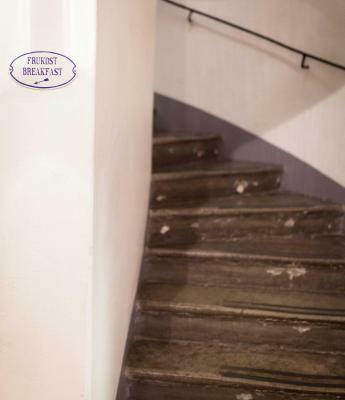 It was the best hostel I ever stayed in! 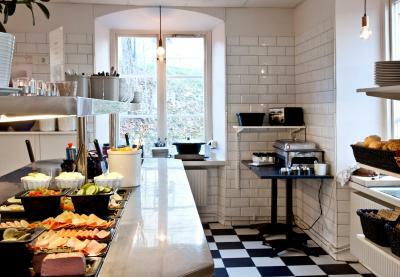 So convenient to all of Stockholm and it was clean, and the kitchen was good to have. 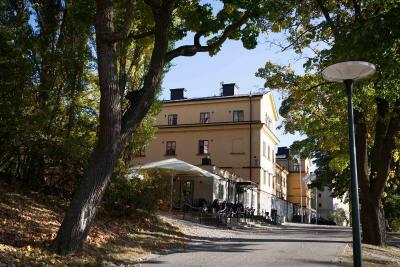 Easy accessibility to most attractive places in Stockholm and had nice view .the facilities and internet was also good enough! 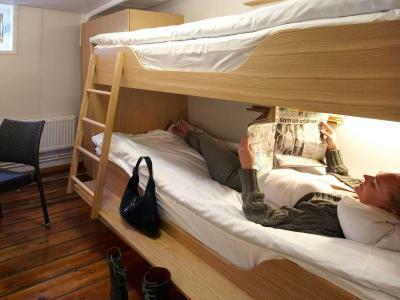 This is a hostel. So don’t expect luxury. But you are in an awesome boat with clean facilities. 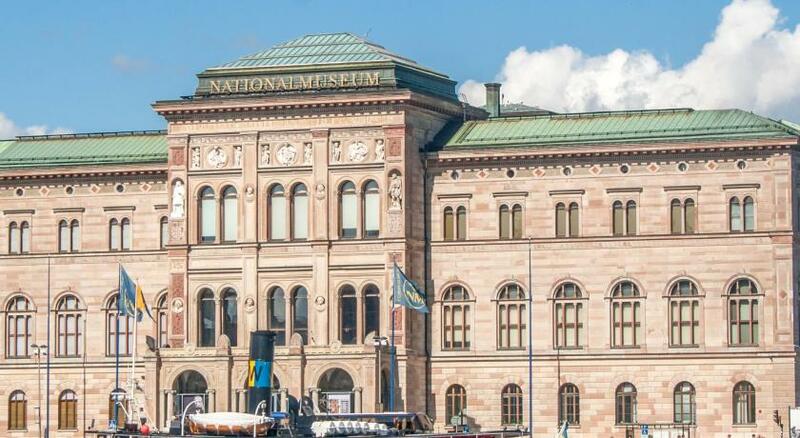 Beautiful location just opposite Gamla Stan. Comfortable rooms if otherwise spartan. 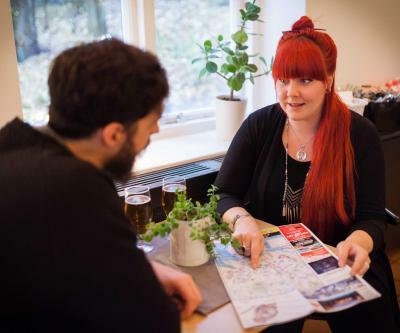 Lovely young international staff, which extended itself to provide useful tips on dining and getting around town. Management is blessed to have these folks working for them. 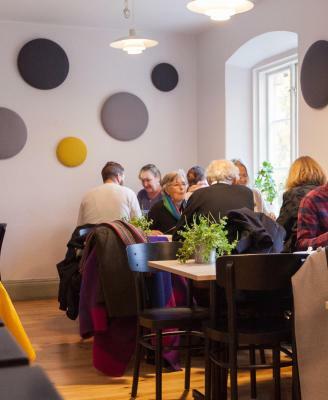 Nice canteen on premises with delicious Swedish apple cake and coffee on offer. The speciality of this hostel is the boat attached to location. Five of us stayed in a six bed room on the boat we were family of mixed gender there was six bunks No problem toilets and showers were shared again no problem every where very clean. Excellent breakfast in the building. 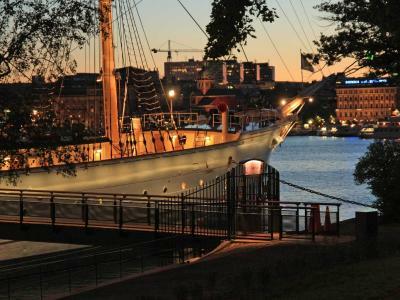 Located on Skeppsholmen island in Stockholm, this STF hostel is split between a late 1800s ship called Af Chapman and former navy barracks called Hantverkshuset. 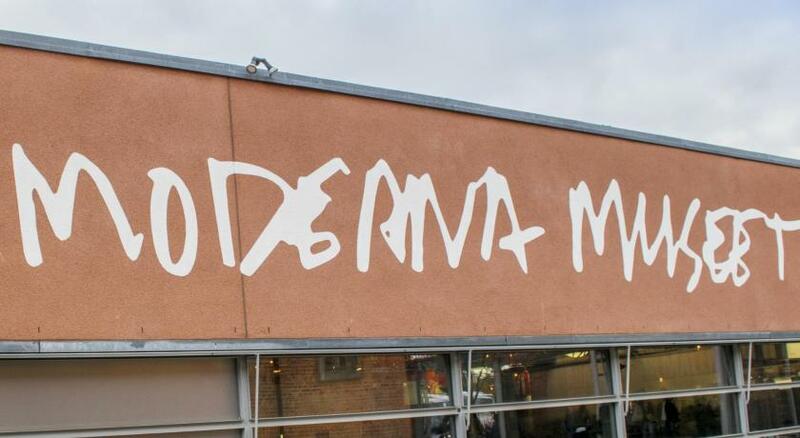 Moderna Museum and East Asia Museum within walking distance. 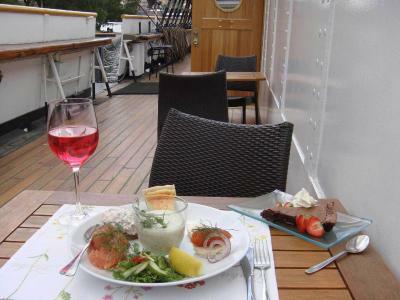 Guest can choose from guest rooms or ship cabins. The guest rooms located in the main building feature large windows, high ceiling and views of the water or park. 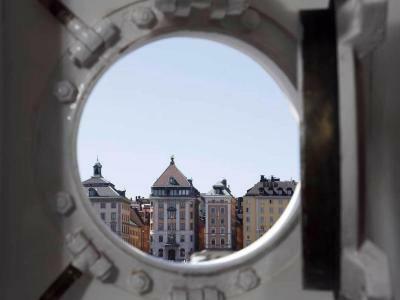 Some of the ship cabins have a small sitting area and a small window with a city view. Both options include access to shared bathroom facilities. 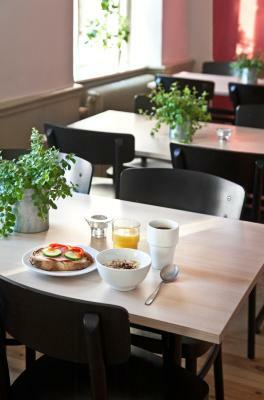 Guests can enjoy a traditional Swedish breakfast buffet. 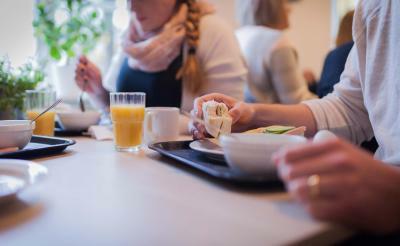 The on-site café serves light meals. 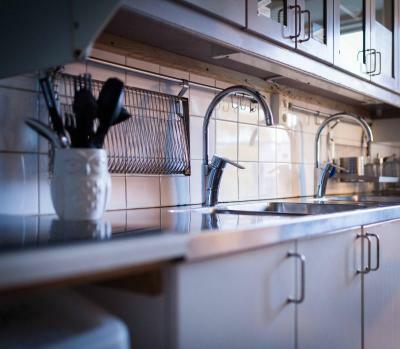 There is also a shared kitchen where guests can prepare own meals. 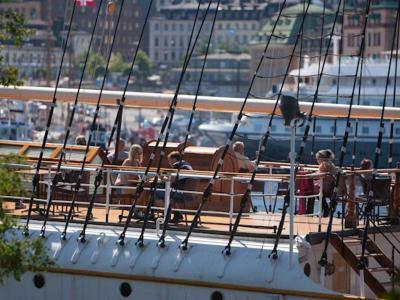 During June to August, guests can relax on the sun deck on Af Chapman. 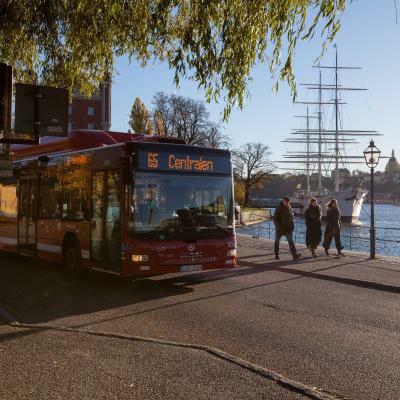 The Östasiatiska Museet Bus Stop is 500 feet from the hostel. 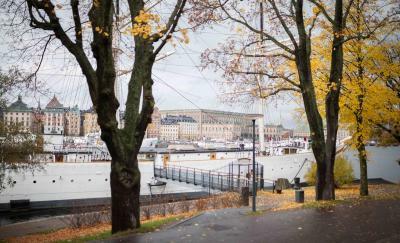 Kungsträdgården Metro Station is 10 minutes’ walk from STF af Chapman & Skeppsholmen. 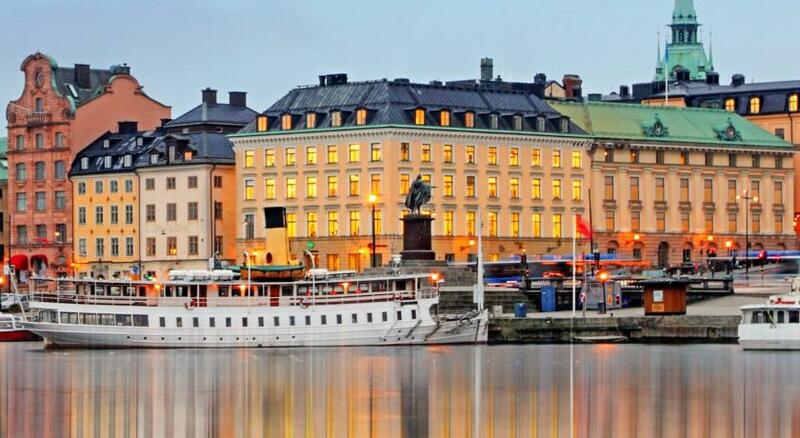 뀐 Located in the real heart of Stockholm, this property has an excellent location score of 9.4! 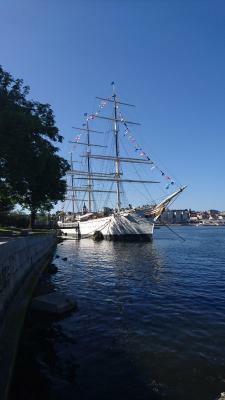 When would you like to stay at STF af Chapman & Skeppsholmen? 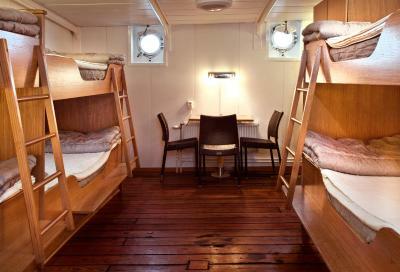 Located on the ship, this wooden-furnished room with shared bathroom facilities. Bed linen and towels are provided, but guests must make their own beds. Please note how many children will be staying and their age in the Special Requests box when booking. 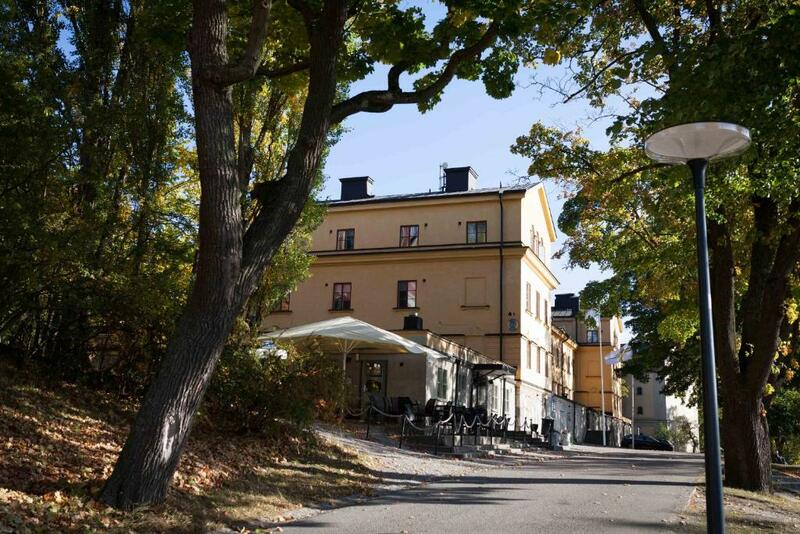 Public parking is available on site (reservation is not possible) and costs SEK 200 per day. 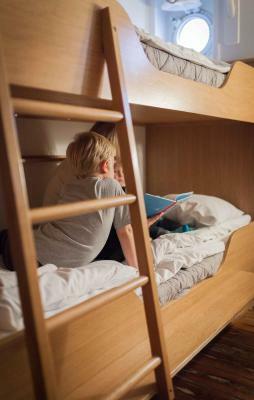 Located on the ship, this is a bunk bed in a mixed dormitory room with shared bathroom facilities. 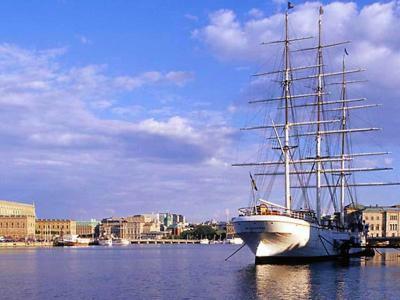 Located on the ship, this is a simply furnished room with shared bathroom facilities. Area Info – This neighborhood is a great choice for travelers interested in shopping, food and city trips – Check location Excellent location – show map Guests loved walking around the neighborhood! House Rules STF af Chapman & Skeppsholmen takes special requests – add in the next step! STF af Chapman &amp; Skeppsholmen accepts these cards and reserves the right to temporarily hold an amount prior to arrival. STF af Chapman & Skeppsholmen accepts these cards and reserves the right to temporarily hold an amount prior to arrival. Please note that from 2019 this property does not accept cash payments. Please note that there will be ongoing renovations of the shared toilet and shower facilities from March 7th until June 20th, 2019. Different toilet and shower facilities will be open during the different renovation stages. 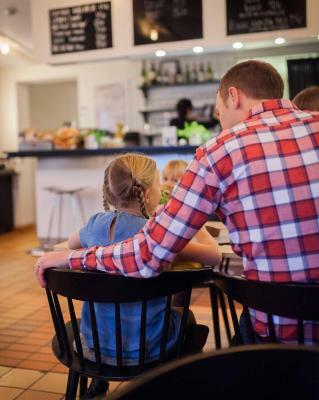 The property will be undergoing renovations from Thu, Mar 07, 2019 until Thu, Jun 20, 2019. During this period, guests may experience some noise or light disturbances, and some hotel facilities and services may not be available. 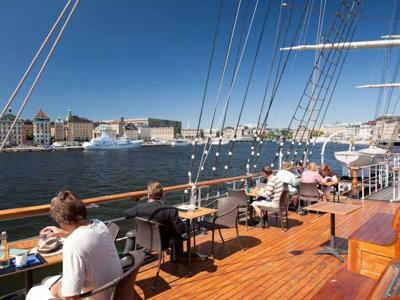 Comfy beds, nice staff, simple but tasty breakfast, extraordinary experience on the boat. Everything was clean. Bathroom facilities (need to search for a shower in different floors). Location, cleanliness, bike’s facility, STF membership. Tiny tiny windows (but well, it's a ship). 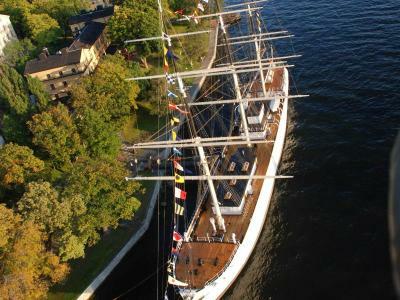 The ship is an actual, big, shippey ship! Also, the location is super central, you won't need to use public transport. Shower cabins were quite uncomfortable. I lived in a room for 6 people. 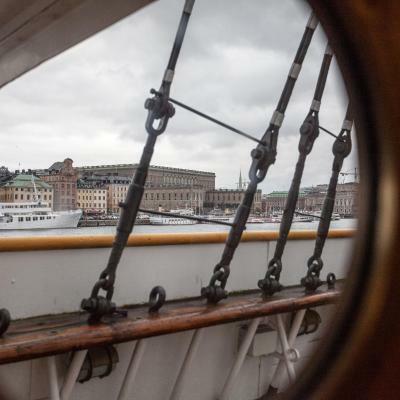 I really liked the location with its wonderful view from the window of my room (beautiful ship, seaside. 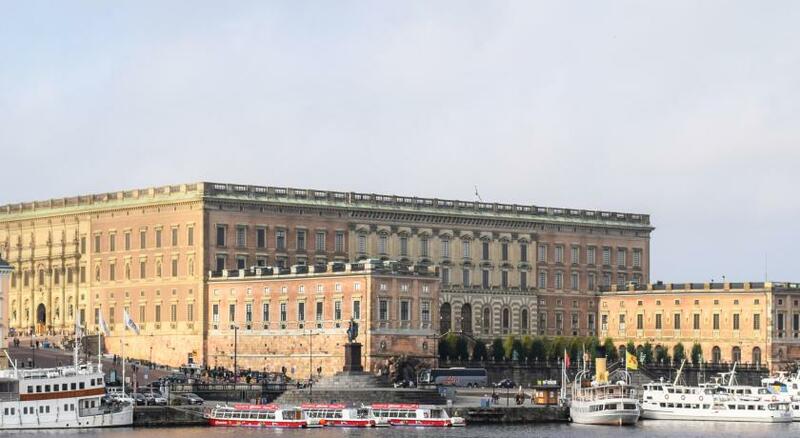 Gamla Stan). It was clean, bed linen was white snow. There was a sink in the room, which was very convenient. WiFi was so weak that I even couldn't do check in to my flight. They now have renovations in showers and toilets, so in 2nd floor they are not working, and you must go either to 1st or 3rd floor. Room 202 is rather small for 4 people. 2 beds were mounted to the wall and kind of folding from it, with was inconvenient, and they are short for tall people. I've found only one socket, but USB charger is over every bed. No one told me before that the showers and toilets at my store were just now under reconstruction! 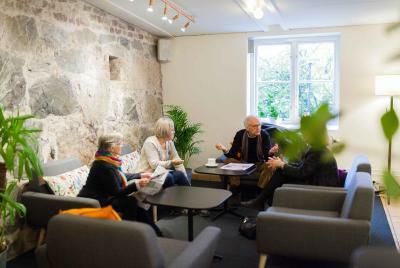 I liked the friendly staff , the location and the room. The showers need improving but apart from that’s it’s ace!